Social Media, A Power For Good! This from a friend on Facebook. Let's make Social Media a power for good! If you click on Julia's link here, then "Like" Julia's post perhaps we can help her son get a new hearing aid! For the past four years, we have given away free hearing aids to people who really need them and can't afford to buy them on their own. This year, we are involve...READ THE REST ON JULIA'S PAGE! Hard Words Made Simpler, Let's Read! Tek-Ninjas, we like free stuff, right? Especially stuff that can help our students. Check out Rewordify.com if you haven't yet. 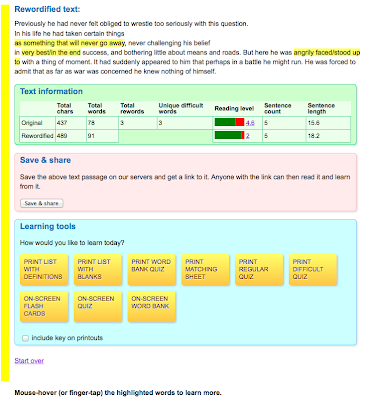 Rewordify is an online tool that helps teachers facilitate comprehension and vocabulary development for their students. Rewordify does not require software, or licensing fees. All the user needs is a functioning browser. 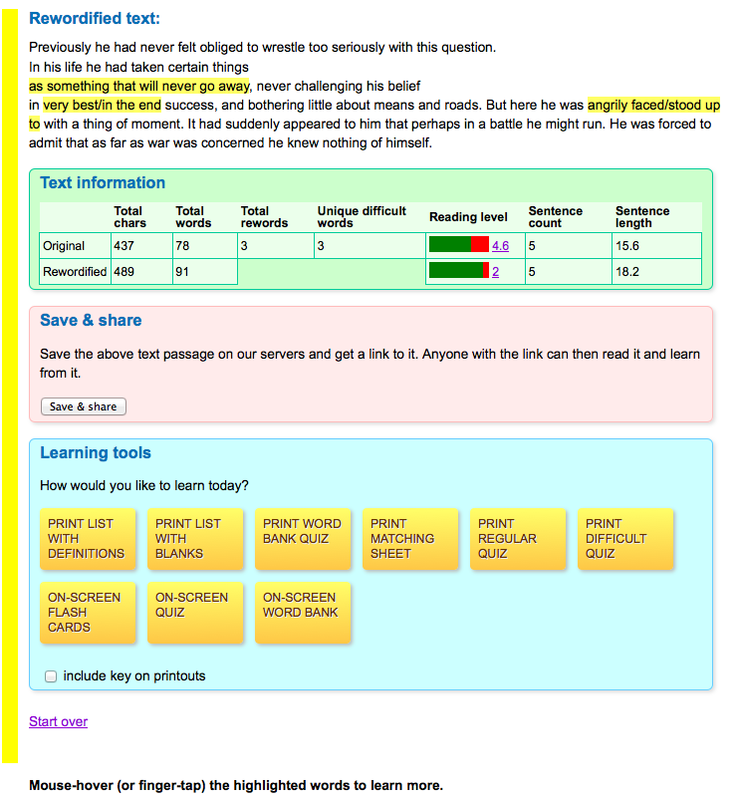 Rewordify is an astonishing resource that can make a significant difference in a student's reading experience. This passage is taken from Stephen Crane's novel, The Red Badge of Courage. The "rewordified" version is in the picture to the right. "Previously he had never felt obliged to wrestle too seriously with this question. in ultimate success, and bothering little about means and roads. But here he was confronted with a thing of moment. It had suddenly appeared to him that perhaps in a battle he might run. He was forced to admit that as far as war was concerned he knew nothing of himself." As indicated in the video above, Rewordify allows for many different settings options to tailor the site to your reading/learning preference. 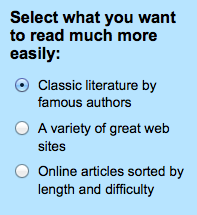 Also of interest is the available reading resources that are just a click away. Check it out, and happy therapy! 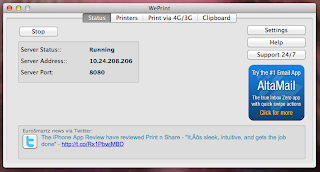 Hey Tek-Ninjas, a number of apps have offered IOS printing... But until now, I haven't found one that works easily for me. iDevices will even print to specific printers. But I have not purchased any of these printers, as the ones I have are in good shape. Recently, I stumbled upon Print by Eurosmartz. Print does just what it says it will, quickly and easily printing photos, contacts, and web-pages from my iDevice. The app retails for $1.99, and the downloadable "WePrint" add-on for your computer is free. Print works on Apple and Android devices. The computer software works on Macs or PCs. Downloading and installing the computer software is simple, then open and follow the directions. In moments, you can pick from any printer that is already installed on your computer. According to the app writers, WePrint allows the user to print from a mobile phone even when away from the printer location, so the print-job will be waiting for you upon return. Simple, affordable, and you don't have to be a technological wizard to set it up! Well done Eurosmartz!